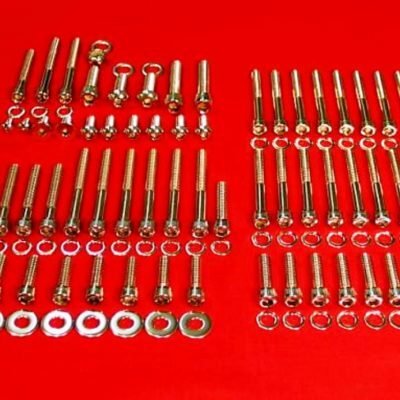 These bolt kits are for the person who wants the very best American made bolts for their American Made Iron! 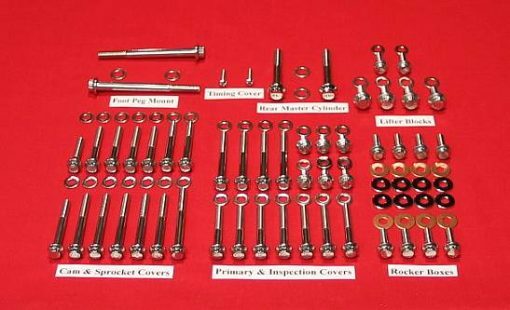 Give your 2007 & UP Harley Sportster a unique new look with this beautiful polished grade 8 stainless steel bolt kit. LET US KNOW THE YEAR AND MODEL OF YOUR BIKE AT THE TIME OF ORDERING TO ENSURE THE CORRECT KIT IS SENT. This kit fits all of the bikes in the Sportster Family from 2007 & UP. Not only are these high strength stainless bolts good looking, they are extremely strong (Stronger than the stock bolts) and come with a nice polished finish. 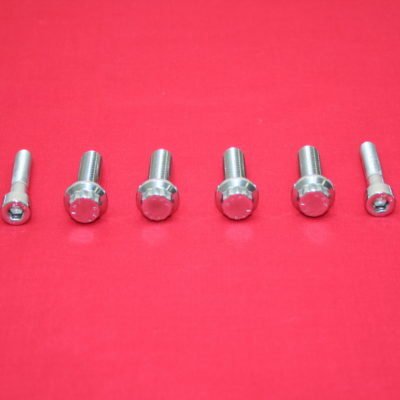 These bolts have a 12 point head and are rated at 170,000 psi and will withstand high temperatures, are extremely durable, and best of all, they will not RUST!! 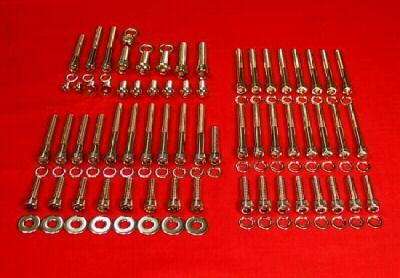 This kit also includes polished stainless steel washers for the Rocker Boxes, and polished button head bolts for the timing cover. 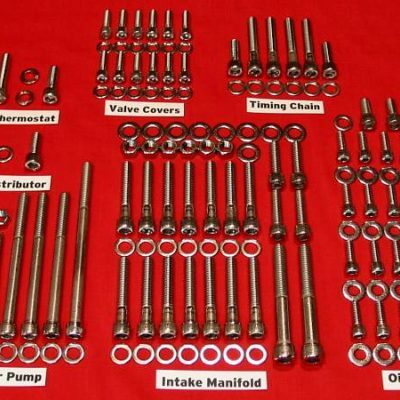 There is no chrome plating to crack, peel, or rust, and no caps or plugs to come loose with this kit. Cam Cover, Sprocket Cover, Timing Cover, Lifter Blocks, Rocker Boxes, Primary Cover, Rear Master Cylinder Mount, Gearcase Cover, Inspection Covers, Derby Cover and Belt Guard. Great Kit!!! Always top notch Customer Service. Thanks.